An accessory stand handmade in-house by our creative team here at Lisa Angel, perfect for a wonderful Father. 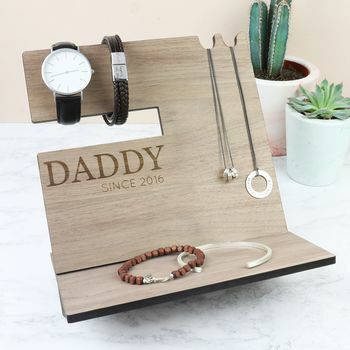 A great gift for a Dad, he can store his phone, keys, jewellery and watches onto this accessories stand to keep them safe, tidy and all in one place. The stand is laser cut by our creative team at Lisa Angel HQ in Norwich, and all he'll need to do is slot the two pieces together! 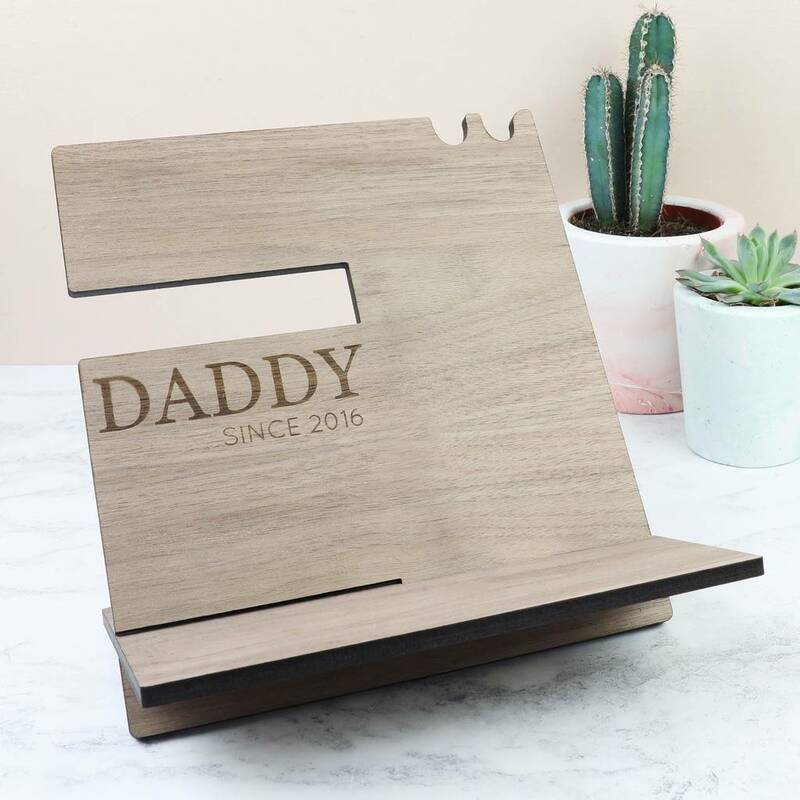 Personalised with a title and date across the surface of the walnut wood. Personalisation: laser engraved with '(title) since (yyyy)' onto the front of the stand. Enter your title and date into the boxes, eg. grandad since 1990, daddy since 2017. Character limits: up to 8 characters for the title. Font size for any word longer than 5 characters will be reduced. Up to 4 characters for the year in yyyy format. All letters will be in uppercase.